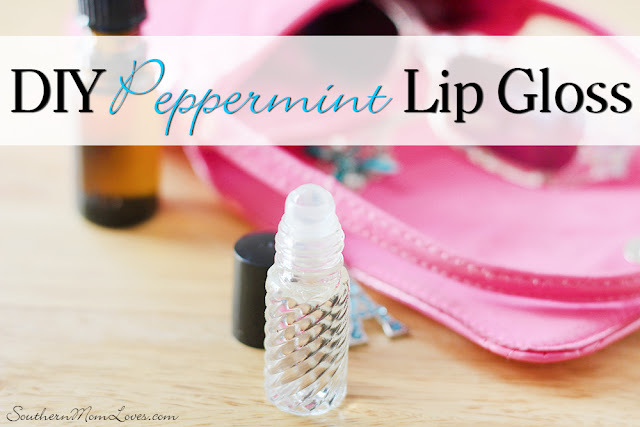 Next up in the Mommy & Me Homemade Spa Day Series is a refreshing and tingly DIY Peppermint Lip Gloss recipe! 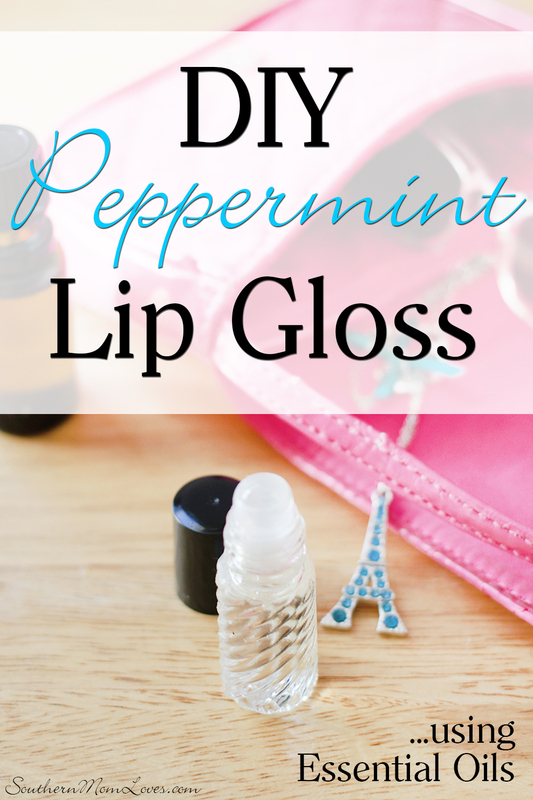 This simple 3 ingredient lip gloss is a hit with little girls and grown-ups alike! Very inexpensive, free of harmful chemicals, and easily customized to your favorite scents using only the best ingredients. They make a wonderful homemade gift for parties, showers, Valentine’s, Easter Baskets, Mother’s Day and would also be fun to create in bulk for birthday party goody bags and little girls just love to help make them! Fill your roller bottle ¼” from the top with fractionated coconut oil. 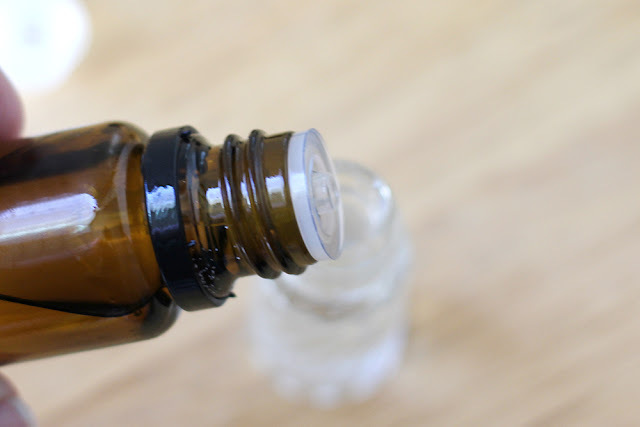 Add essential oils to your strength preference. 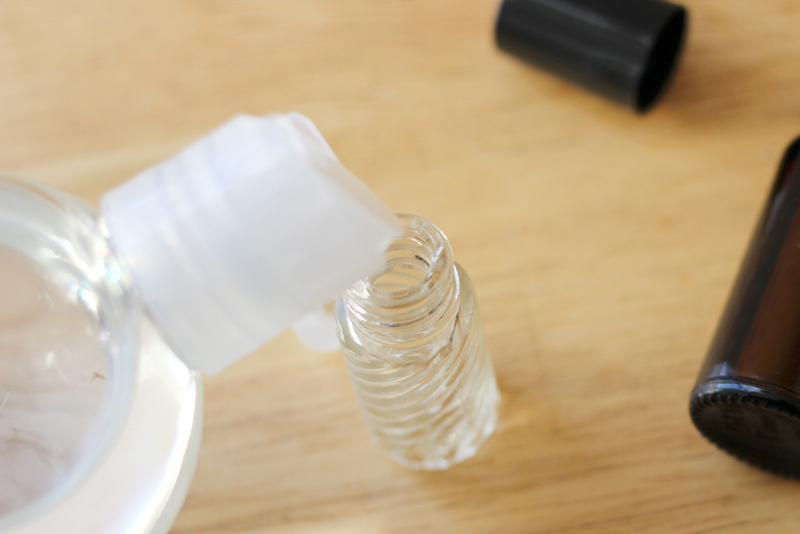 The easiest way, especially for little hands, to fill your lip gloss roller bottles is with a pipette or syringe. If you want to add a touch of sweetness to your lip gloss you could also use these food grade flavorings in place of essential oil. This is a great deal for a 5 pack of flavors! I would add ½ tsp. at a time until you find a good flavor strength. 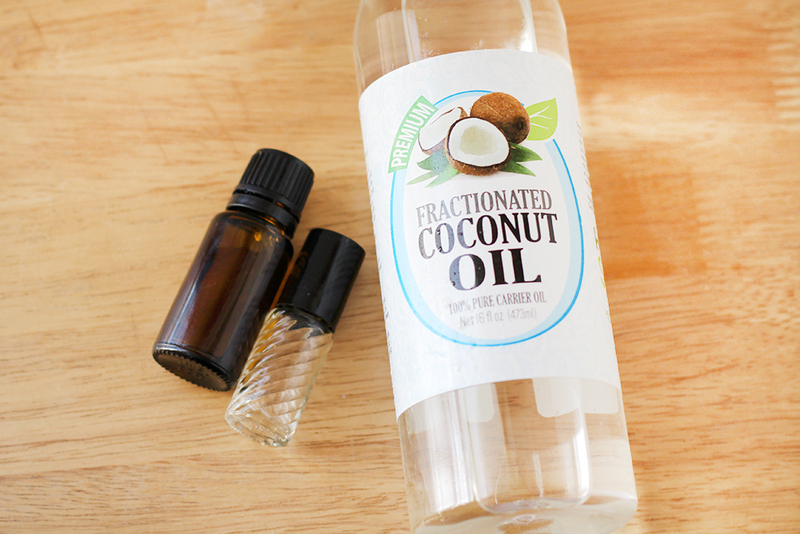 Do you like making your own beauty products? Will you be making this lip gloss? What essential oil would you use in it? I love to read your comments! Hi, I'm Holly. I'm a coffee-addicted, crafting, cooking, beauty-loving, dress-drooling, shoe-coveting, DIY-do or die, modern Southern mom of 2 who tries to learn something new every day. Our family loves to play together, travel, and try new things, and I blog all about it at Southern Mom Loves. I'm a coffee-addicted, crafting, cooking, beauty-loving, dress-drooling, shoe-coveting, DIY-do or die, modern Southern mom of 2 who tries to learn something new every day. Our family loves to play together, travel, and try new things and I blog all about it from Jackson, TN. Welcome! See more videos on my YouTube Channel! Printable Easter Game Placemats for Your Kids' Table! Coming 4/22: Mother's Day Giveaway Hop!